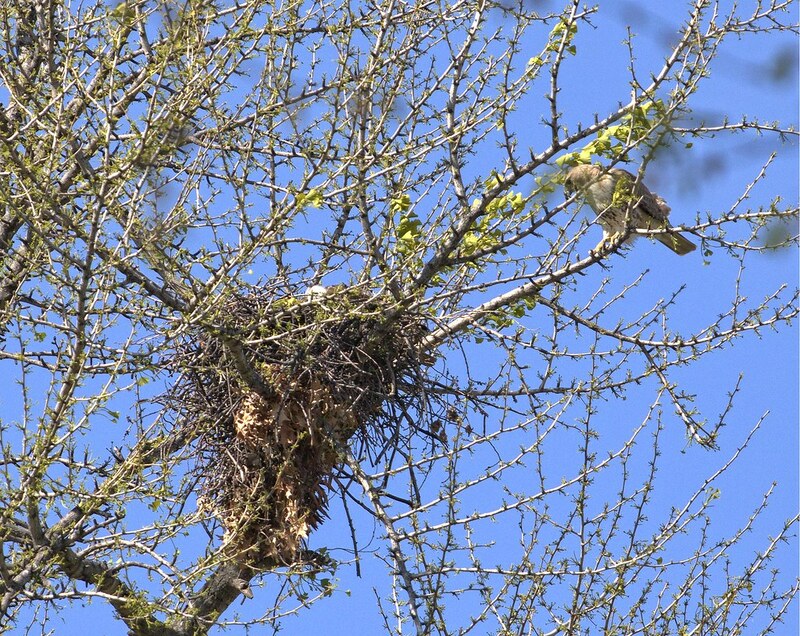 Finally, on this sunny afternoon, I caught my first glimpse of a baby hawk head in the nest at Tompkins Square. Until now, I've been unable to see the nestlings from the ground. 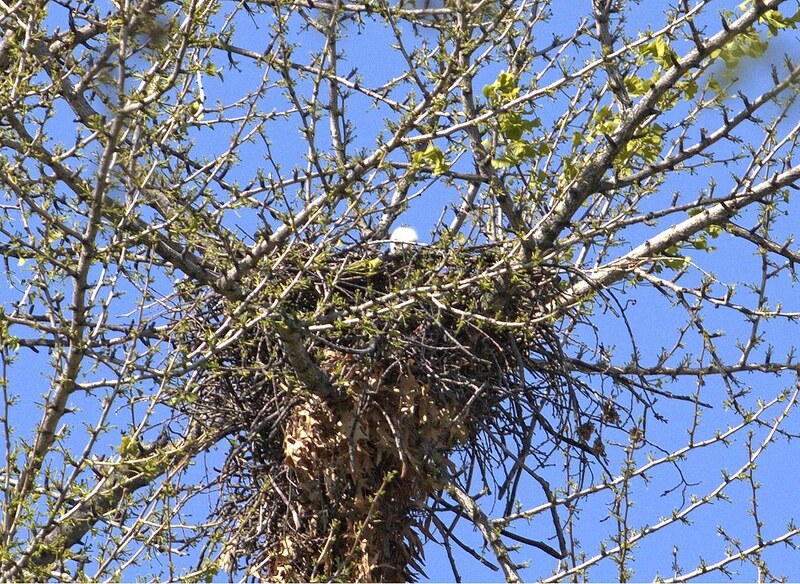 Dad Christo watches over the nest from a branch on the right. Mom Dora is just barely visible, her brown back hunched down behind the baby's fuzzy white head. Happy Mother's Day to Dora!